Apple hasn’t totally left old iPad owners behind. In addition to still signing the last iOS releases for those devices, you can still download software for them —assuming you know where to look. Maybe you’re hanging on to an older iOS device or maybe you just got a great secondhand bargain. 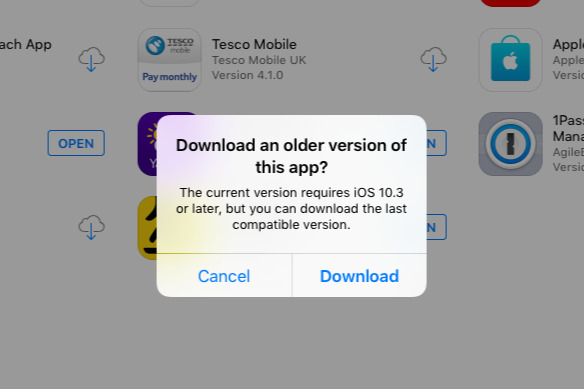 Either way, you can’t update the device to the latest iOS and so you also can’t download the latest versions of your apps. Since the App Store only ever shows you the latest versions, it looks as if you’re stuck unable to get your old apps back. Yet you can do it, and you can do it easily —if you know where to look. Open the App Store on this older device of yours and then tap on the Purchased button. As great as older iOS devices are, they are older and they are usually slower so this won’t be quick. Especially not as you need to wait until the complete list of your previously purchased apps is displayed. Once the list is complete —and all the icons have displayed too —search for the app you want. Just tap on that iCloud download icon and you’re done —or very nearly. The trick here is to wait. And maybe wait for a considerable time, too. Don’t tap away, don’t leave the App Store, just wait. 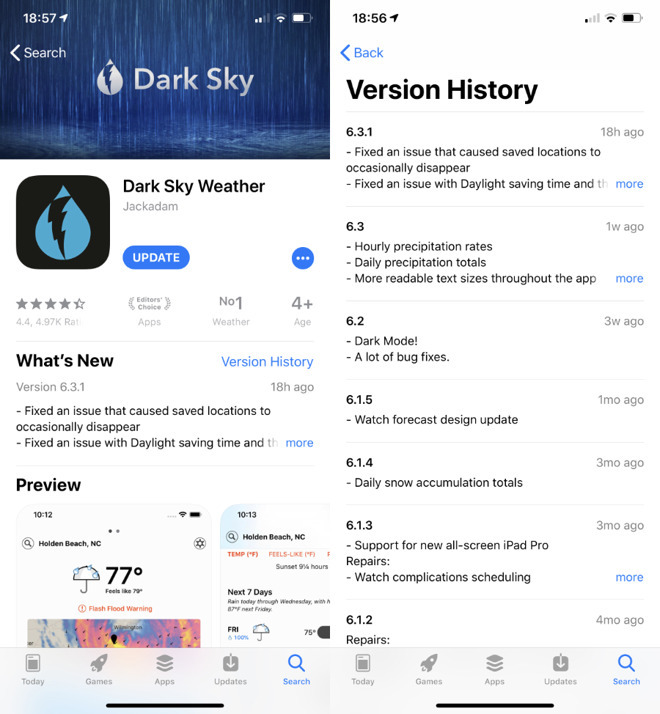 After some amount of time, the App Store will display a notification saying that no, you can’t have this app because it doesn’t work with the version of iOS that your device has. However, it will also offer to let you download a previous version. This is a really smart feature from Apple because it offers you this compatible version but it also makes sure that you’re getting the newest that you can. If an app has been updated five times a year, you’d struggle to know which was the very latest you could use but Apple knows and Apple tells you. Apps get updated for a reason. You’re not going to have the same experience with an older version of an app on an older device than you will with a newer setup. Speaking of newer setups, though, it looks as if you can only use this download trick with apps that you have previously bought. If this older device is your sole iOS one then that’s true, but if you have a newer one as well, you can do something more. On the newer iOS device, find and buy an app you want —that you know has a previous version which will work on your older machine. That’s the hard part. There’s no surefire way of knowing for certain and the best you can do is take an educated guess. If you can find references online to the app being updated around the date of your older device, you’re probably in luck. Buy it on the newer device and then it’s in your Purchased history on all your iOS devices. And that means also on your older one. Give it a few minutes for the information to propagate through the App Store but thereafter you should be able to do this download trick and get the previous version that works with your older device. If for some reason there wasn’t a version that ever worked on your older device then there’s nothing you can do. However, you’ve at least got that app on your new iOS device and can use it there.